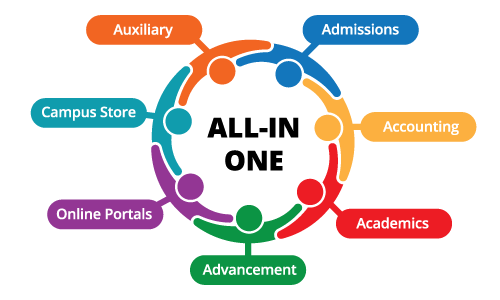 Reduce Complexity In Your Admissions Office with Our Integrated Ascendance Admissions module. Your admissions office begins what could be a long and lasting relationship with prospective families. Your Admissions staff collects and tracks applications, coordinates interviews and tours, mails letters and catalogs, and administers enrollment contracts and financial aid. This burden of data means accuracy is essential, but efficiency and productivity are just as critical. A school’s admissions software must be able to handle this diverse range of data management tasks. It must carry data smoothly into your student information systems, your accounting systems, and the advancement office. Learn more about our Ascendance Admissions module and its add-ons by downloading the product sheet. ✓ Easy-to-use data entry and import tools to collect biographical data for inquiries and applicants quickly and efficiently. ✓ Customizable checklists track all requirements for each grade level. ✓ Automated mailing processes for catalogs, follow-up letters, and decisions. ✓ Reporting, analysis, and export tools give users scalable access to data, whether you want an executive overview or you need the details. ✓ Email your decision letters – or add the My BackPack™ Student/Parent Community to allow online posting too. ✓ Add Enrollment Management for your contracts and deposits. ✓ Add Financial Aid to track and administer the financial aid process. ✓ Add My BackPack™ Online Admissions to accept inquiries and applications via your school website. ✓ Add Dashboard for Admissions to get analysis, data visualization, and real-time reporting.